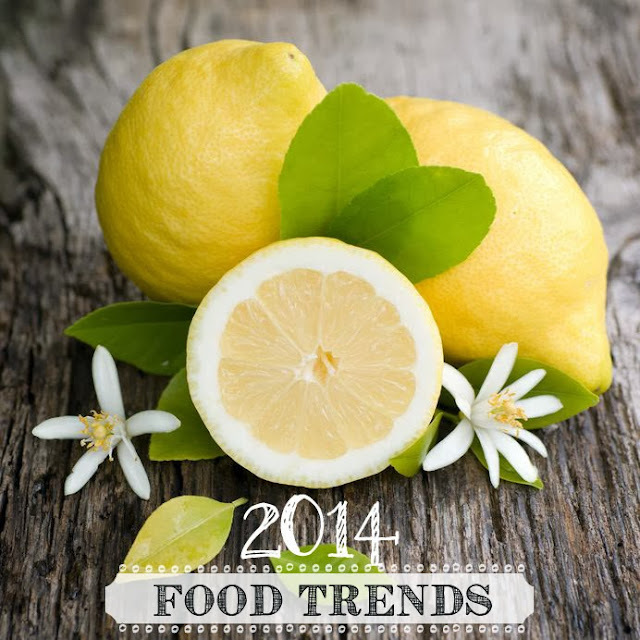 With the new year comes new "trends" in the food world. Where do food trends come from? Here's an interesting article from chow.com. I've already seen a few of these posted more frequently on Pinterest and blog recipe sites in the past few months. It will be interesting to see what creative recipes this year brings! Lemons - as pure juice, used as preserves, in yogurt and added to recipes to brighten the flavors. Chicken - the meat of the year! Chefs are getting creative with recipes and we'll be seeing chicken dishes in restaurants that are more expensive than steak! Ice Cream Sandwiches - the "it" dessert of the year; ice cream sandwich trucks are back and they are using gourmet cookies, brownies and waffles for the "sandwich" with creative ice cream flavors. Farm-To-Table - responsibly raised meats, eggs and dairy aren't new, but this trend continues to gain steam and there will be even more focus this year with more options available like goat, rabbit and pigeon. My sister got chickens last year, so her mornings are literally backyard-to-table ... way to go sis! Tea - out of the teapot and used in cooking and seasoning dishes to replace high fat items like butter. Great for infusing flavor. Cauliflower - creativity abounds with this vegetable. I saw a lot of cauliflower pizza crust recipes last year and chefs are doing more and more with it. Watch out kale! Gluten-Free Pasta - more creativity in non-wheat pasta using nuts and bean flours. Gluten-free is still the rage and not going away anytime soon. Mediterranean Cuisine - focus on healthy and flavorful dishes. Poaching & Steaming - old cooking techniques that will be more in the spotlight as people continue to focus on eating healthier. Poaching offers the ability to infuse a lot of flavor in meats by adding spices to the liquid (like tea) and using liquids other than water to poach. Try wine, tea, coffee, beer and smokey liquids. Craft Sodas - since SodaStream sales caught on fire in 2012, people are experimenting more and more making their own soda flavors. I can tell you that I won't be cooking or eating any pigeon or making my own sodas, but I will experiment with the others. Good reason to get that ice cream maker I've had on my wish list for YEARS! Forbes Travel Guide also has a great article "Six Chefs Serve The Top Food Trends For 2014." Fabio Viviani is one of the chef's interviewed and he's a favorite of mine.